I remember the letter well. It was in a nondescript envelop from a close friend of mine and addressed to Isla. "Hmmmm...." I thought, "I wonder why my friend is sending Isla letters?" It didn't look like a birth announcement, a card or an invitation. I opened it and there it was: a legitimate chain letter that promised Isla sheets upon sheets of stickers as long as I sent it on. I groaned, cursed my friend for roping me in and complied. After all, it was for the kids. Isla got some new stickers out of the deal and mama swore it was the last time she'd partake in such a ruse. 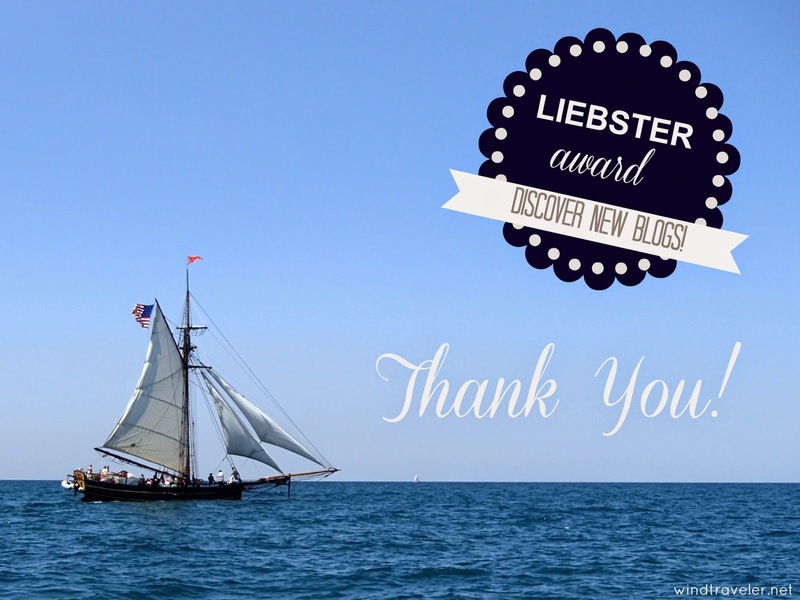 Our blog has been graciously nominated for a Liebster award which, as far as I can tell, is the bloggers version of a chain letter. I answer ten questions, then come up with ten questions to send to ten other bloggers, they answer my questions, come up with their own, and send them on to ten others. And so it goes. Luckily there is no threat attached to this "chain" so it would have been easy to pass up, but since blog posts are thin these days and some of these questions are the ones we've been getting a lot from followers, I thought I would partake in the fun. Not to mention it's very kind to be nominated. Since I have been nominated a few times, I will answer all thirty questions in one fell swoop. Thank you to Lyndy at Homeschool Ahoy, my dear friend Genevieve over at It's a Necessity and Tammy from Things we Did Today for the love! Introduce us to your live aboard family, how many in your crew and how old are they? We are Scott (38), Brittany (35), Isla (2.5) and twins, Haven and Mira (6 months). That is four girls to one guy if you are counting. We have what some might call "girl power." What sort of boat do you have and would you recommend it for other families hoping to live aboard? Our boat is a Brewer 44. We're not sticklers on what sort of boat a family might need (many would say catamaran), but as monohull sailors we have found a center cockpit layout and a boat that's easy to single hand key features in our experience of cruising with a baby. How did you come to the decision to live aboard? It was something both Scott and I always wanted to do. It came up on our first date. Kind of sealed the deal for us. Where are you now and what are your sailing plans, if you have any, for the future? For the upcoming season with our little ones, our plan is to island hop in the British Virgin Islands. We also plan to sail the Bahamas again in the near future, it's pretty perfect for so many reasons and would be great to cruise with kiddos. We also would love to cruise the East Coast and Scott would love to cruise the Pacific Northwest. I'd love to see the Mediterranean, but we don't want to cross oceans until the kids are older. What’s the best learning experience your kids have had since living aboard that you could pass on to other sailing families for them and their children? Gosh, there are so many. Cultural exposure comes to mind, but that's a no brainer. Once thing that I think is great about living aboard is the fact that boat kids learn to self entertain and are very creative. Kids these days have so much (toys, activities, television time, etc.) so I think there is ample learning for kids where there is less. The natural world is a fabulous playground. What style of education do you prefer for your littlest crew members, are you homeschooling/world schooling/un-schooling… or eclectic like me? Have they ever been or will they ever go to a traditional school? Our kids are too young to make this decision, but we are strongly considering homeschooling for a myriad of reasons, our nomadic lifestyle and the desire to maintain it being the big one. The jury, however, is still out. What’s your best memory from the last year? Growing our family from three to five. Name the most challenging experience you have had whilst living aboard and what did you do to overcome it? Hmm...domestic disputes could get ugly, Scott and I are both pretty stubborn. We learned (and are still learning) the best ways of dealing with these in tight spaces is to communicate, set expectations and give each other space. Constantly fixing things can get old too, but you don't "overcome" this - you just deal with it. And take really good care of your stuff. Will you always live aboard or is this just one of the many adventures you hope to share with your family? I think we'll always have a boat and we'll always cruise whether it be a week here and there or a two year sabbatical, but there are so many adventures to be had in this life. Not to mention we want our girls to be able to rip on skis so we'll have to head to the mountains at some point and, sadly, cruising season and ski season are the same. If they weren't, this world would be a perfect place. What motivates you to blog and what tips can you offer fellow yachty bloggers? I love to share stories and connect with people. The fact that I actually inspire people here and there was an unexpected bonus to this. I love it and I love all the good stuff that has come from it. Writing is my passion and it is my greatest form of expression. If I don't do it I don't feel right. My blogging tips are here. Describe yourself in 5 words. No more, no less. Live life to the fullest. What do you blog about? What do you NOT blog about? I blog about whatever tickles my fancy but usually it's related to sailing, travel, living one's dreams and children. I don't blog about things that would be considered "airing dirty laundry." Some things are sacred. Like dirty laundry. You have $10 US to spend, what is the first thing you buy? I wish I could say something cool like "train ticket," but the true answer would be coffee since sleep is the only thing I really lack these days (#twinfants). Large drip with a shot of espresso, 2% milk and a lot of sugar is my current poison. In one coffee shop this concoction was called the "ticker kicker." I liked that. Since that would probably only cost $5, I'd buy two of them. What is the worst travel spot you have been to? Definitely not the worst spot, but my worst travel experience was in Amsterdam. It was a comedy of errors and I didn't even get to smoke good pot in a cool coffeehouse, but did end up staying with a very kind map maker who took pity on my travel partner and I. What is your favorite saying/slang/term you have picked up through your travels? I like the term "lime" from Grenada. It means "to hang out/chill out" and can be used as a noun and a verb. As in: "we're limin' by the water" or "come join us for a lime on the beach." We like to lime. If you were invited to a dress up party what costume would you wear? I love the 1920's so I'd try to find a stellar flapper get up. What is your favorite drink (alcoholic or not)? Wine. Specifically any sauvignon blanc from the Marlborough region of New Zealand. Chilean sauv blancs are a close second. Favorites: Brancott and Kim Crawford. Nectar of the Gods. How much wine is too much? If you ask me this sober, the answer is "there is no such thing as too much." Ask me after a bender and I will say "two bottles." That second bottle always does me in, but it usually means a really good night was had. What are you afraid of? Not living up to my potential. If you could have one wish granted, what would you ask for? Healthy, happy, long lives for our children. What is the one thing you wish more people knew about you? Don't be afraid to brag here... this is your chance! This blog paints a pretty one dimensional view of me. People think I am some sort of Pollyanna. People closest to me would find this hysterical. I swear, piss me off and I will cut you (wink). I am a former "wild child" and "bad girl." That doesn't really come across on this blog which became clear when several people assumed I was a peppy cheerleader in high school (I wasn't). Also, I literally just learned that you only need one space after a sentence and this is killing me because it will take me at least four years to do that without thinking about it. Grammar has never been my strong suit in case you didn't notice. If you could have EITHER five minutes with a crystal ball OR five minutes with a Genie... which would you choose and what would you ask for? I would choose a Genie because Genie > Crystal Ball, and see number 10 above. What would you say is your partner's greatest contribution to your success as sailors/cruisers? He amazes me with his ability to get things done and make things happen. No such thing as a "honey do" list for him. He has no fear, can fix anything and he's one hell of a sailor. He's also an amazing, very hands-on daddy. Priceless qualities in a (cruising) mate. We make a very good team. When will you/did you REALLY consider yourself to be a Cruiser? What does the word "Cruiser" mean to you? Not sure. I think after we got past the "Thorny Path" we felt pretty good. A cruiser is anyone who travels by boat. I think it's that simple. What do you think will be the thing that ends your Cruising journey? And why? Our cruising journey will always stop and go I think - but we will always be sailors and I think we will always have a sailboat. Things that will end it for certain: a) if we are not enjoying it anymore b) we can no longer afford to do it and c) we find some other adventure to sink our teeth into. What was it like the moment that you "decided" to go cruising? What was the catalyst? Or was it a more gradual thing that just happened? For me, I read Maiden Voyage when I was thirteen or so and when I finished it I thought, "I want to do that." I have been known to be impulsive. How did your current boat get its name? Have you ever thought of changing it? The story behind our boat's name is here. We love it. What size boat do you/will you cruise on? And if money were no object... would you buy a bigger one? We cruise on a Brewer 44. If money were no object we would absolutely buy a bigger boat. It would be a three cabin monohull in the 48-53 foot range. Ideally it would be a Hallberg-Rassy 53. It is often said that before you leave, everyone says they will come visit you, but most never do. Who would you MOST like to come visit you on your boat and why? Richard Branson. He seems like he would be awesome to hang out with and he could go kiteboarding with Scott. Or my best friend because I KNOW she's awesome to hang out with and loves wine as much as me. But, really, we can't have visitors these days since we have no more room! Thinking back to before you tossed the dock lines and how you thought cruising would be, what in reality was your biggest misconception? What was your biggest surprise? What was your biggest disappointment? Misconception: you can sail around the world in two years. (you can, but you're moving faster than we'd ever care to) Surprise: how little we actually move under strictly sail power. Disappointment: rolly anchorages. Thank you humbly for the nominations friends, but the buck stops here. Since pretty much every single cruising blog I know of has already been nominated multiple times, I will just redirect you to the blogs that nominated me (links above) and have you take a look at their other nominees. There are thirty of them combined, so that should keep you busy for a while! Enjoy! Richard Branson .. yes! I've watched a few of his videos about his place, Necker Island, and his kiteboarding. He seems like a really great guy ... and he's still hot!! Amsterdam is on my bucket list. No time in the coffee house?! If I ever go there I'll go check it out for ya .. LOL! I have spent many sunny and beautiful days on my sailing holidays in Croatia , and i warmly recommend it! I love you. Thanks for the love. Can't wait to visit you... How much wine can I get in a suit case, exactly?